The X-Men get caught up in the comic book blockbuster of the summer! 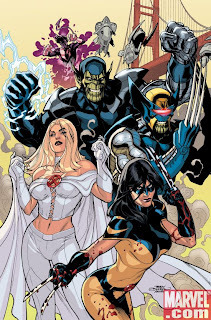 Get ready for an epic action packed, super powered rush in Secret Invasion: X-Men #1 (of 4)! The Skrull invasion is in full effect and the country is being torn apart, but the Skrulls missed one minute detail - the X-Men have relocated to San Francisco. 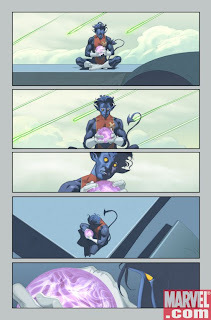 Join fan favorite superstar writer, Mike Carey (X-Men: Legacy, upcoming X-Men: Manifest Destiny), as he shows us what happens when the Skrulls collide with the "astonishing" might of the X-Men. 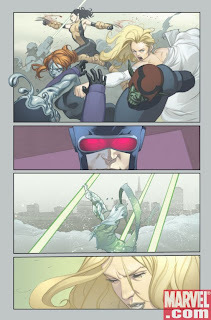 With jaw-dropping interiors from acclaimed artist, Cary Nord (Ultimate Human), just about anyone who ever called themselves an X-Man will show up to wage war! Plus, a shocking revelation will leave X-fans talking for years to come! 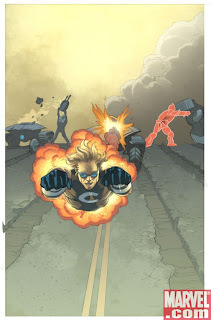 Mike Carey told Marvel.com, "[Cary is] a major talent and I can't wait to see what he does with this story...It really plays to his strengths. I know he's going to take the big battle set pieces and make them play like poetry. It's going to be fun." Marvel urges retailers to check their orders on Secret Invasion and all its tie-ins as they continue to top the sales charts and sell out at Diamond. Do not miss this explosive first issue as fans continue to ask "Who Do You Trust?" 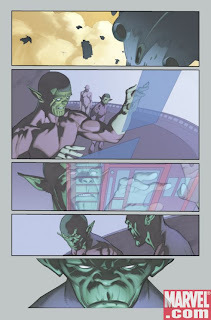 What do the Skrulls have in store for the Children of the Atom? What is Cyclops willing to do to ensure the future of the mutant race and lead his team to victory? Find out the answers to these questions and more, True Believers, in Secret Invasion: X-Men #1 (of 4)!